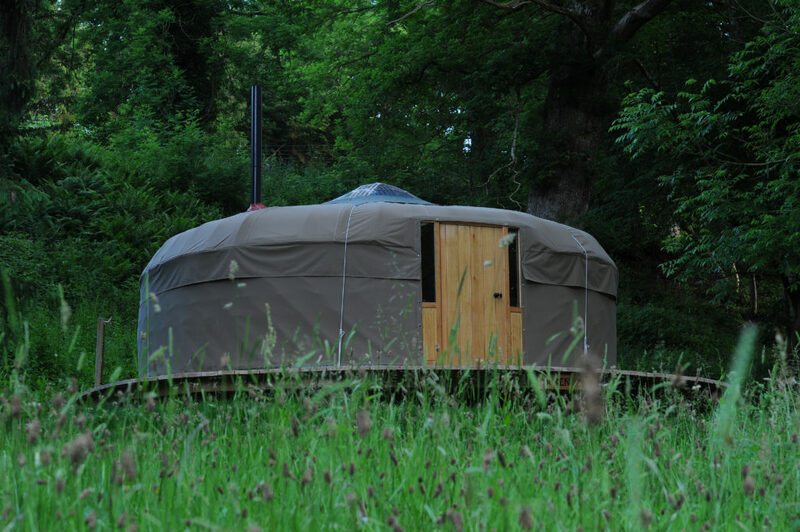 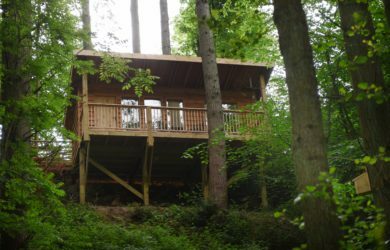 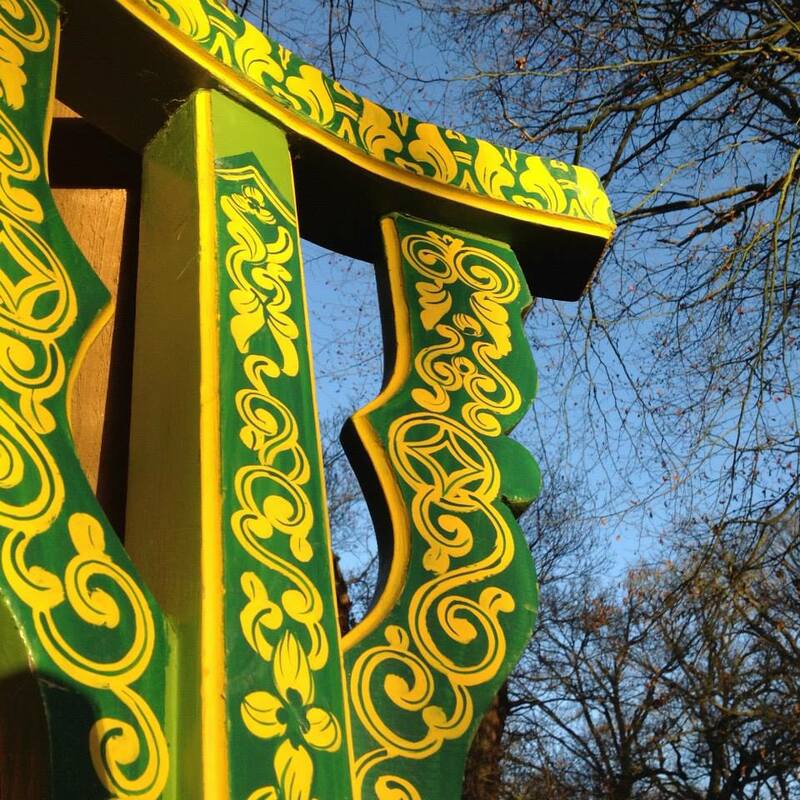 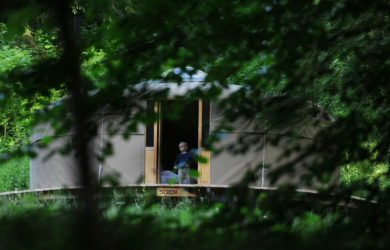 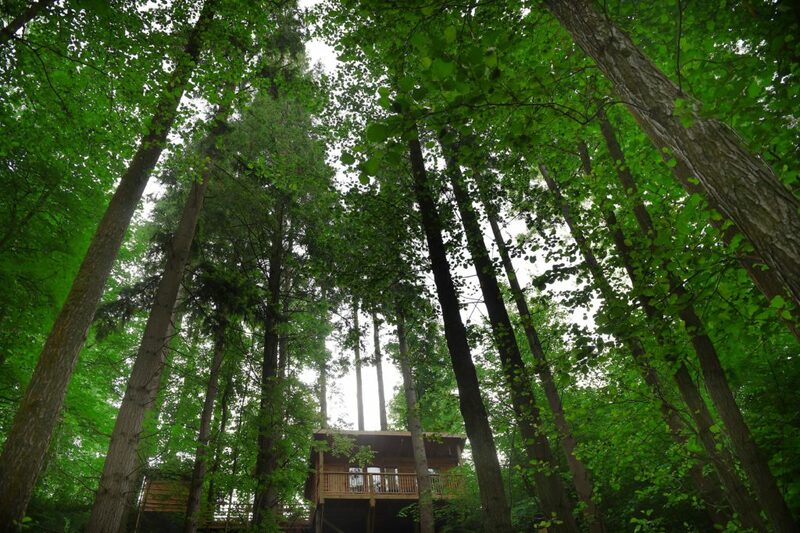 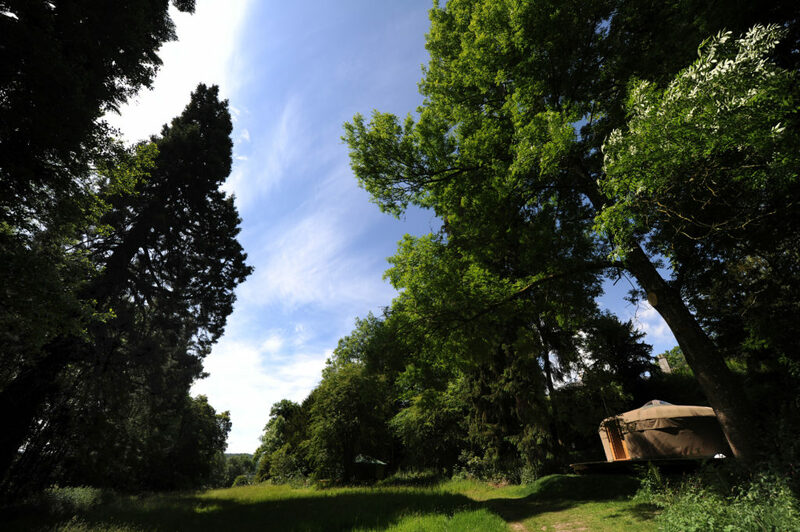 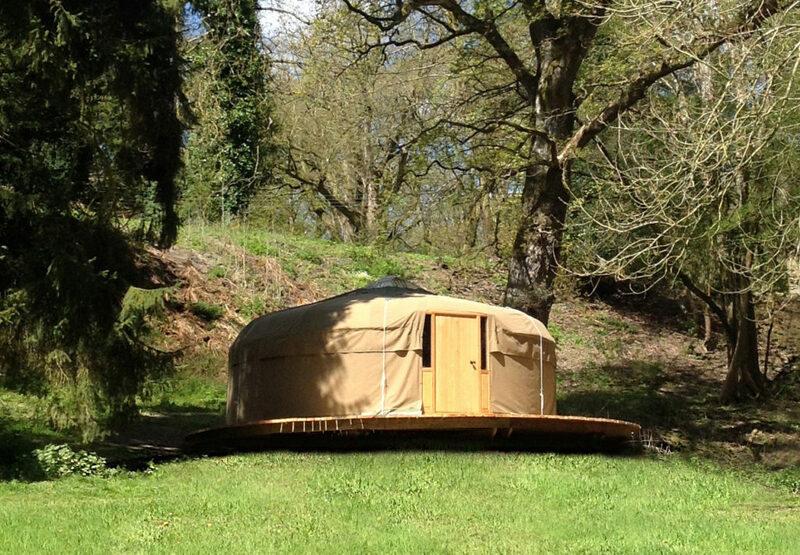 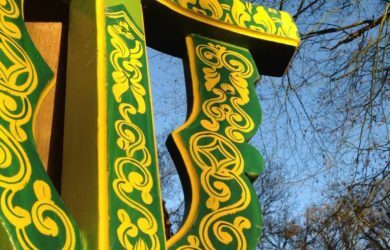 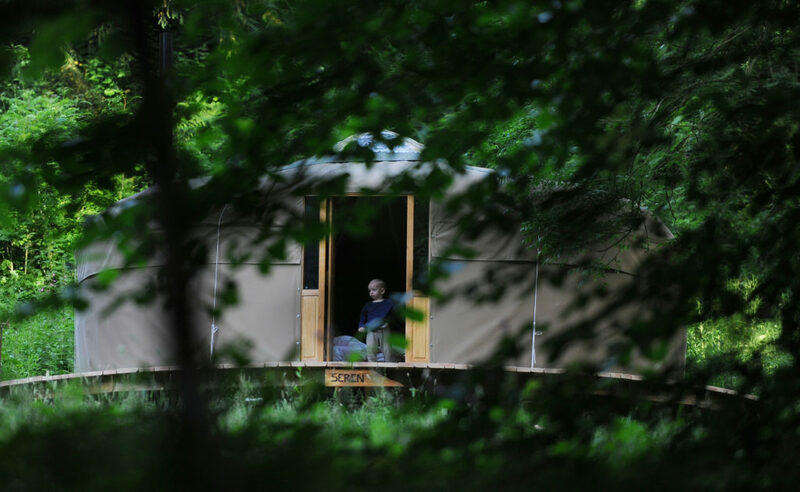 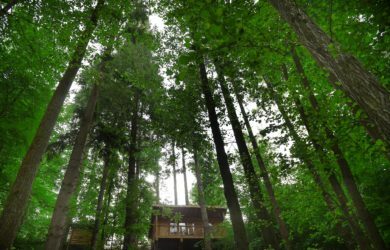 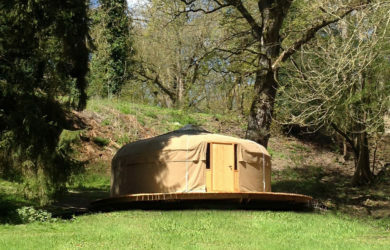 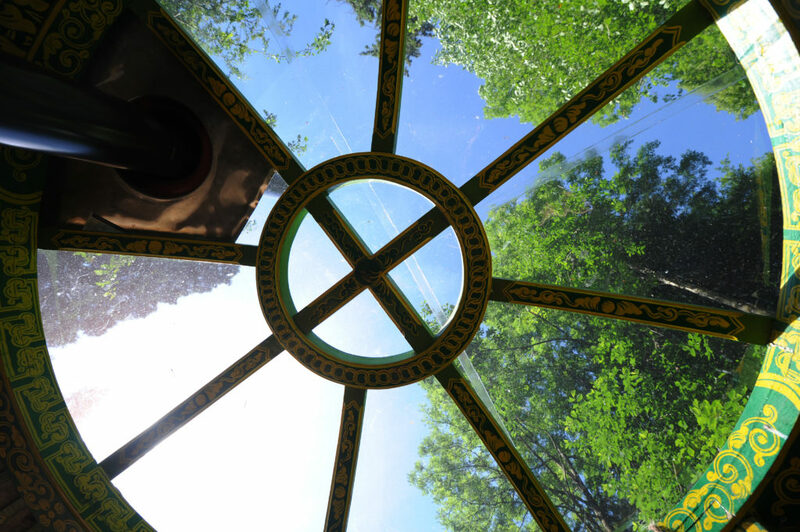 We have two distinctive 19ft yurts which can each accommodate up to five people whilst our spectacular Treetop Cabin accommodates up to three people. 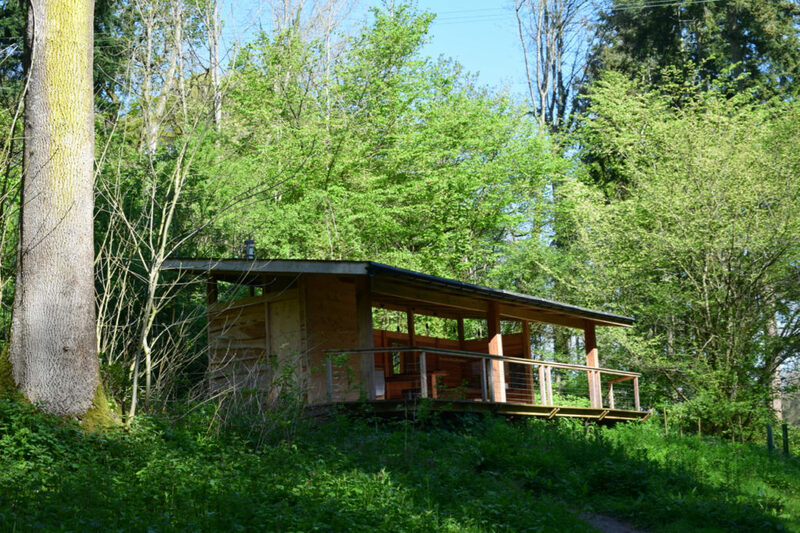 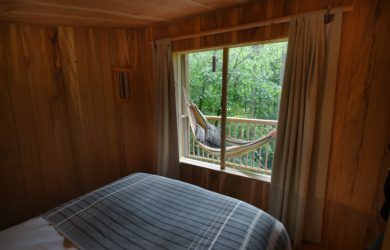 Nestled amongst the trees, each offers a private and secluded space in which to relax and enjoy the view across the valley to our redwood and the brook. 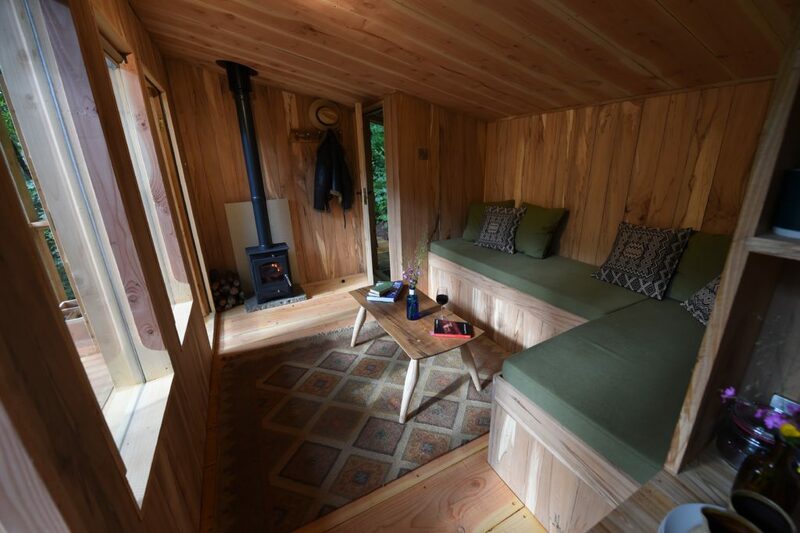 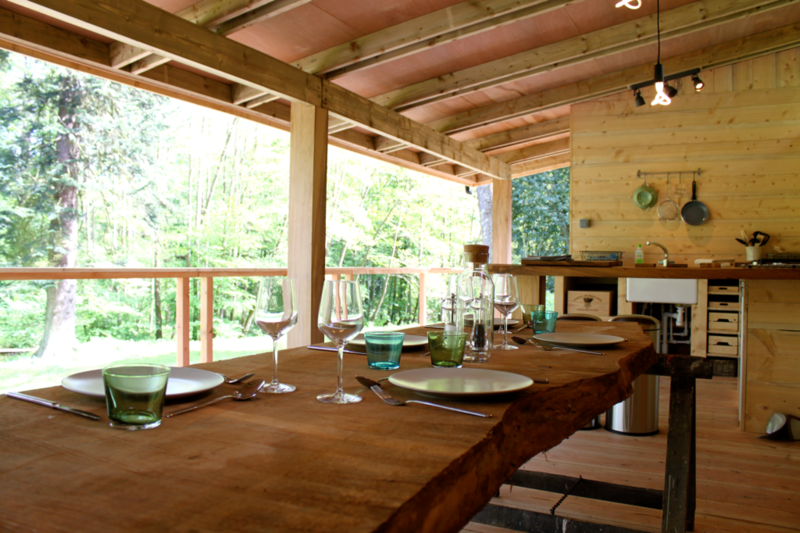 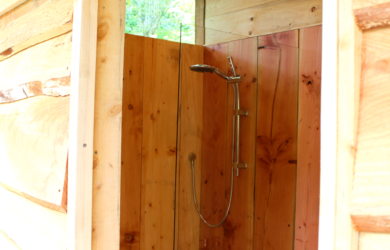 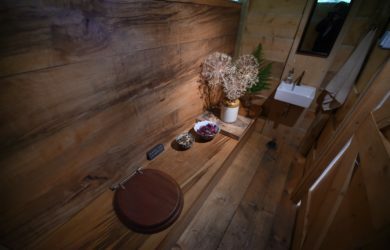 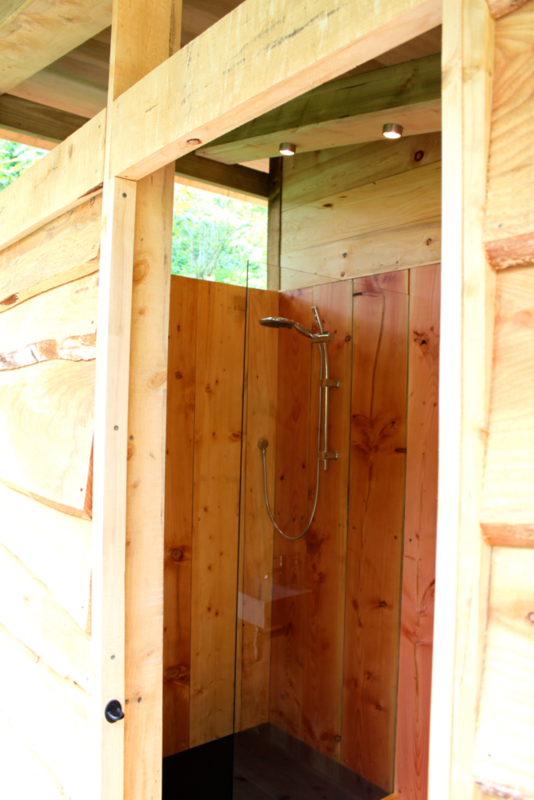 The cabin has been lovingly crafted from wood from the valley. 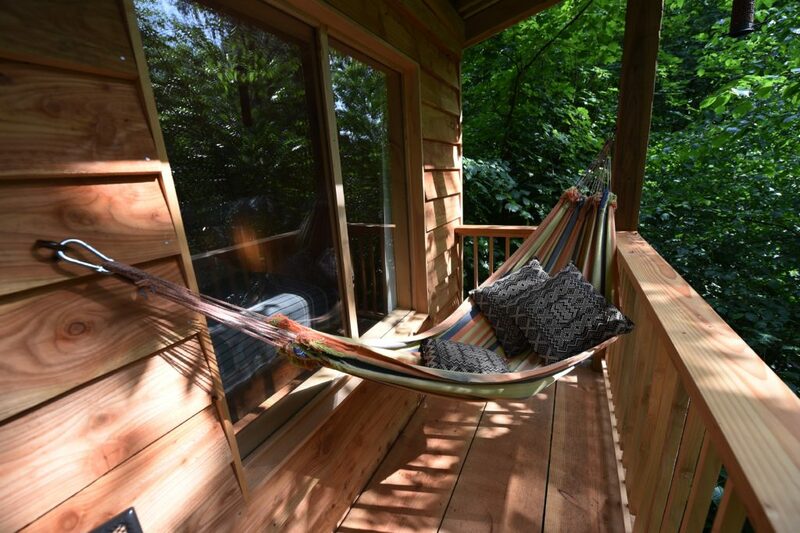 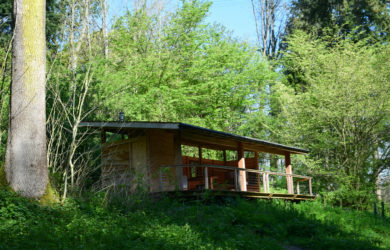 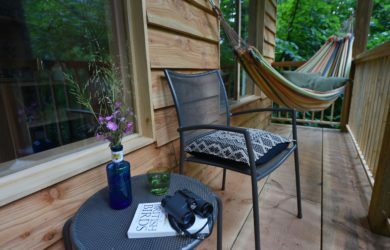 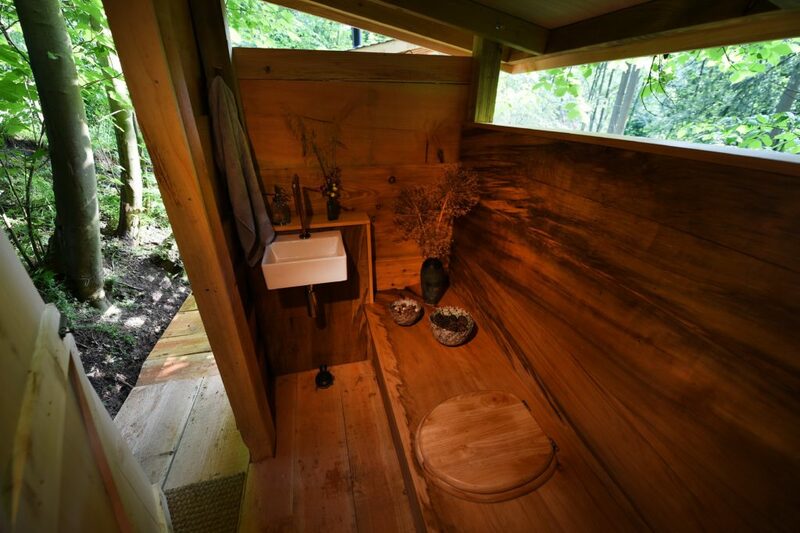 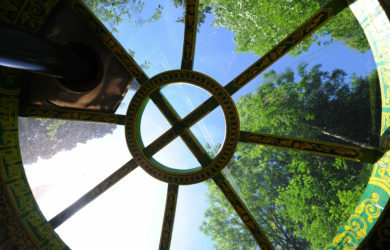 There is a large balcony with chairs and hammock, and a wooden walkway to a luxurious private composting loo. 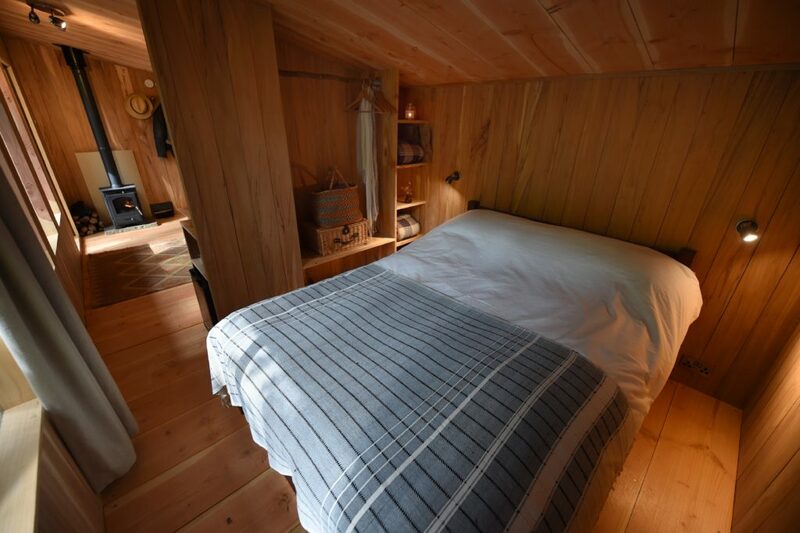 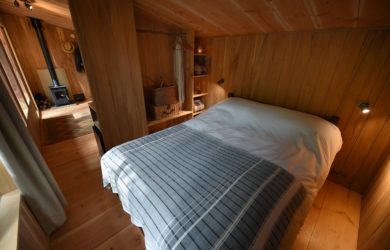 The cabin is furnished with a double bed (with cosy down duvet, pillows and crisp white bedlinen) and an L-shaped daybed which can comfortably sleep an additional adult or child. 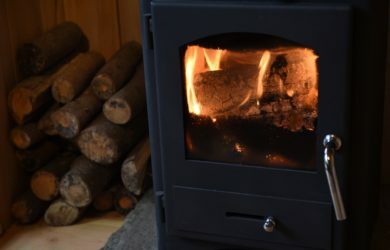 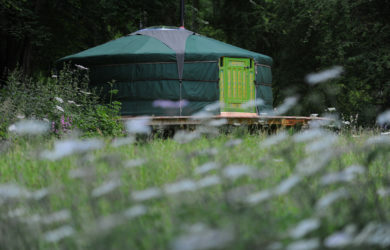 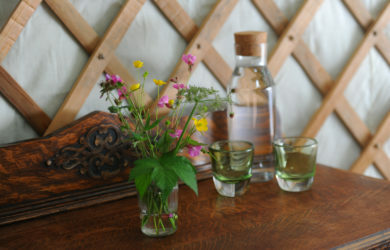 We also provide a small fridge, tea and coffee making facilities, a wind up lantern, and wood for the log burning stove. 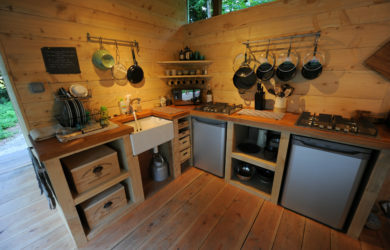 Outside there is a spring water tap, and in the wooded glade behind the cabin is a seating area where you can enjoy the BBQ which doubles as a fire pit. Is a traditional Mongolian ger, made in Mongolia, felt-lined for extra warmth, and beautifully handpainted. 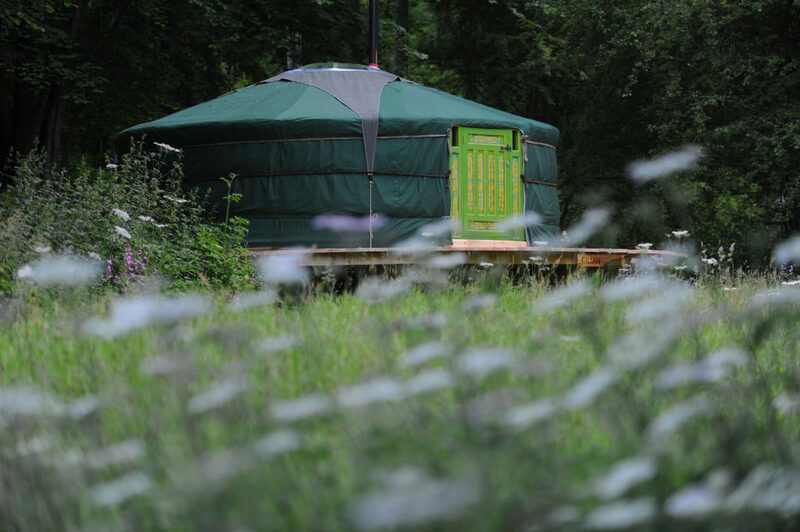 We have decorated the yurt to enhance and reflect the traditional style and with the log burner lit, it is absolutely magical. 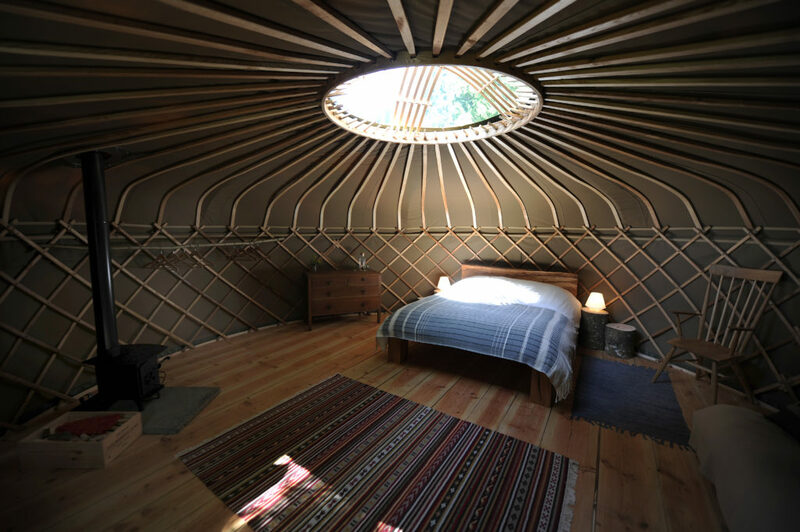 Both yurts are comfortably furnished with a mixture of handmade and vintage furniture, as well as a single and double futon each. The king size beds were made by us here at Redwood Valley and chairs were handmade by our greenwood working teacher Ben Willis. 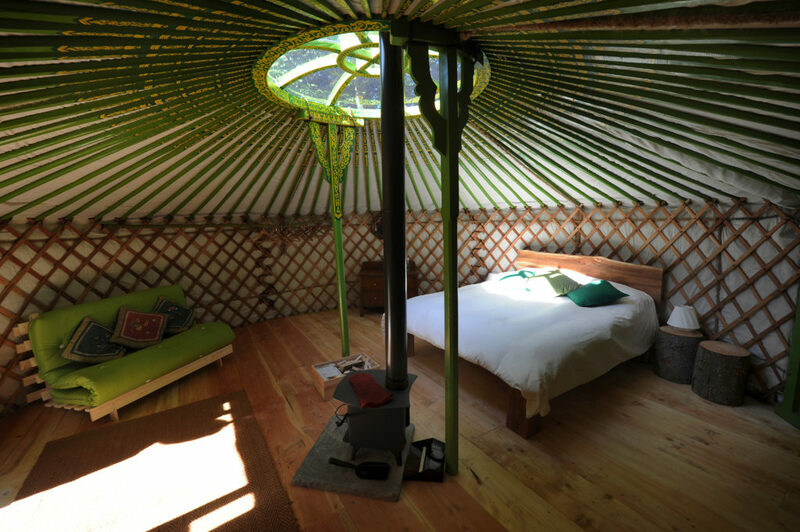 The yurts are also equipped with down duvets and pillows, electric bedside lights, wind up lanterns, and a log burning stove to ensure that you remain cosy, even on those chillier nights.